This week, we launched a broader series on security in Nigeria, exploring the latest research and comment on the security sector and security threats in the country. 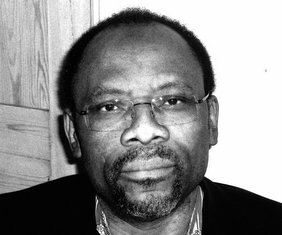 As part of that series, we are sharing a summary of Raufu Mustapha’s recent talk on Boko Haram at the University of Edinburgh. Raufu is an Associate Professor of African Politics at the University of Oxford. Raufu began his talk by emphasising that historical context would always be crucial in exploring and understanding the nature of groups such as Boko Haram. That said, he argued, there are six factors that are key to understanding the current make up and operation of the group. The Berlin Conference of 1884 – 1885 was arguably the apex of the ‘scramble for Africa’. During this conference, the borders of African states were demarcated in a process that was dominated by European interests rather than African political communities and imaginaries. Over the subsequent 130 years, however, these borders have shaped how Africans live their lives in significant ways. Consequently, in many parts of the continent, the idea of the nation-state is a politically powerful one, with which many people identify. In Nigeria, however, the idea of a national community is under strain. Since 1999, Nigeria has been polarising as regional disparities and income inequality continue to expand. These disparities are exacerbated by a political system that is enriching elites, allowing and encouraging them to exhibit a style of life that is antithetical to a sense of shared national identity and community. Consequently, many people are looking for alternative communities to belong to and identify with. In this context, the visions of community offered by Boko Haram can appear alluring. If we are under any doubt as to the importance of inequality in triggering the fracturing of national community and the rise of conflict, we can compare Nigeria to Niger. The latter is similar to Nigeria in terms of religion and culture. It is also poorer than Nigeria. Therefore, if religious extremism or poverty alone were triggers of conflict, we would expect the situation to be far worse in Niger. In practice, however, this is not the case and the disparity is (in part, at least) attributable to much lower levels of inequality between groups and individuals in Niger, in comparison to Nigeria. Inequality within and between the various states in Nigeria is fuelling high rates of disgruntlement. Life in Nigeria is being increasingly impacted by the consequences of climate change. This is especially true in northern Nigeria, where the climate is becoming drier and the rainy season is contracting year on year. Shifts in the climate have prompted the migration of fisher communities from the Zamfara area of North West of Nigeria to the Lake Chad basin in North East of the country. However, fishing communities in the North East are already under pressure, relying upon the fishing stock within a shrinking lake that now holds a tenth of the volume of water that it held in the 1960s. In this context, religion can become a tool wielded by communities in the North East who are attempting to resist their displacement by better-resourced migratory communities that are compromising their livelihood strategies. There is something of a contagion effect between this climate change migration and displacement, and the conflict that has emerged within Nigeria’s cities. Research suggests that some of those displaced in the livelihood struggles detailed above will make their way to cities in the region. The neighbourhoods at the end of these in-migration flows have been associated in recent years with the optic of conflict and religious extremism. The social and economic tensions highlighted above are coming in a context of increasing national religious polarisation between Muslims and Christians. In Southern Borno State, where mixed populations of Muslims and Christians are to be found in the same ethnic group and community, this religious demographic has influenced the nature of the insurgency. When explaining the form and function of Boko Haram, many commentators refer to the notion of ‘global Islam’. International factors certainly play a role in shaping this conflict, however, we need to exercise caution in two senses. Firstly, cross-border flows have long been an important factor in shaping varied forms of spirituality within the country, whether they be from what is today Niger Republic, Chad, Sudan, Senegal, or beyond. Given these pre-existing spiritual corridors it is not surprising that we find Boko Haram reaching out to ISIS, Al Shabaab, or al-Qaeda in the Islamic Maghreb. Secondly, whilst these international factors are important, local issues and dynamics hold more explanatory power when it comes to understanding the emergence and resilience of Boko Haram.